As an accomplished author, speaker and communication expert specialising in decoding the people dynamics that drive performance, Anneli is regularly called upon to improve communication, engagement and performance across organisations. She offers her expertise through one to one coaching and mentoring, team workshops and masterclasses, and enterprise wide initiatives. Are you a woman who wants to get ahead in her career? 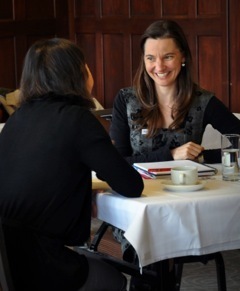 The Women in Leadership one-day masterclass supports women to step in, speak up and stand out. It’s about building the confidence and communication skills to enhance your leadership presence, improve visibility and strategically manage your professional impact. Need to improve your leadership effectiveness through greater influence, engagement and impact? 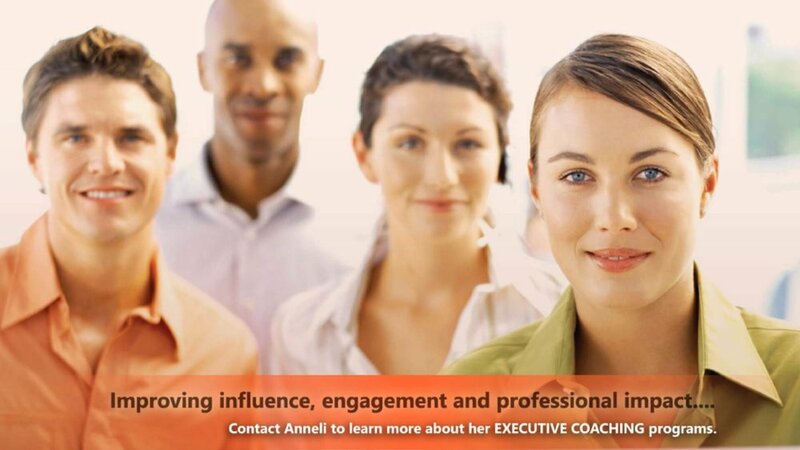 Executive coaching with a communication expert can help you reach your leadership goals. 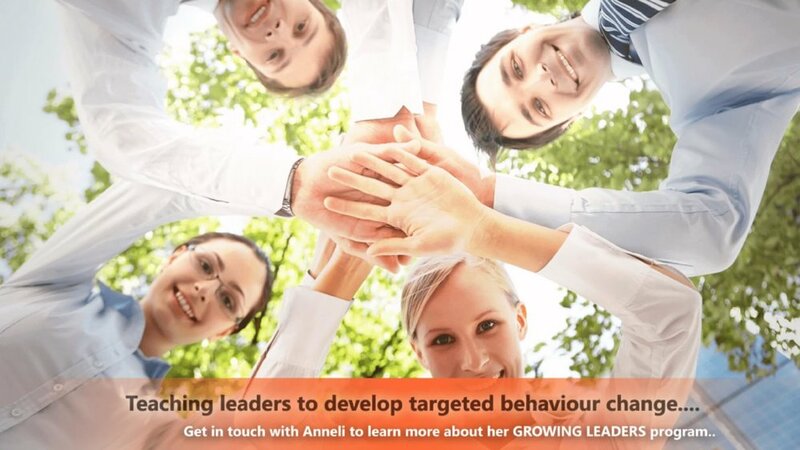 Anneli specialises in helping executives develop an effective leadership style that delivers results AND builds relationships. Building an effective leadership style is about understanding the leaders’ interpersonal skills and how they use the levers of credibility, likeability and power to influence and engage others. Need to fast track high performance for new teams? This team development program is about improving communication, understanding and leveraging strengths, and accelerating team performance. The program can also include a sophisticated profiling tool to uncover the below conscious motivational and attitudinal patterns that drive behaviour and communication styles. Other team interventions and facilitated sessions are also available. Do your leaders need to become change leaders? Helping others understand, navigate and thrive through change? This program is about normalising the experience of change by understanding the science behind our responses to it, building the resilience and mindset to move through it, and creating sustainable momentum with small, manageable commitments to action. Leading change is only effective when leaders understand the human response to change… and what to do about it. How well do your leaders develop other leaders? In this program, your team will learn to identify and respond to what’s really driving the dysfunctional behaviours that derail performance. Effective leadership development needs to occur in real time, on the job, and not just in the annual performance conversation. Your leaders will learn to develop the leadership skills of their teams, on the job, where it counts. Do your managers need to develop the performance of their team members? This program is about increasing the impact of a team’s performance through tailored and targeted performance development frameworks and conversations. New leaders, supervisors and managers who need to coach and develop their people will benefit from this program.